So back in January I realized I have been coveting the Copic Sketch Markers a LONG time and if I wanted to get them, I needed 1) another job; 2) to sell some of the craft items I own; 3) Sell finished craft products. Dear husband, David told me to get selling.. I think he meant finished craft products, but I decided to sell my Cricut items, as I am NOT a Cricut fan (sorry!!! I really, REALLY tried to love my Cricut, but I don't). Every time I go to Fred Vegas I take my piddly pocket money and coupons to Hobby Lobby and Michaels and I buy a (one) copic marker. 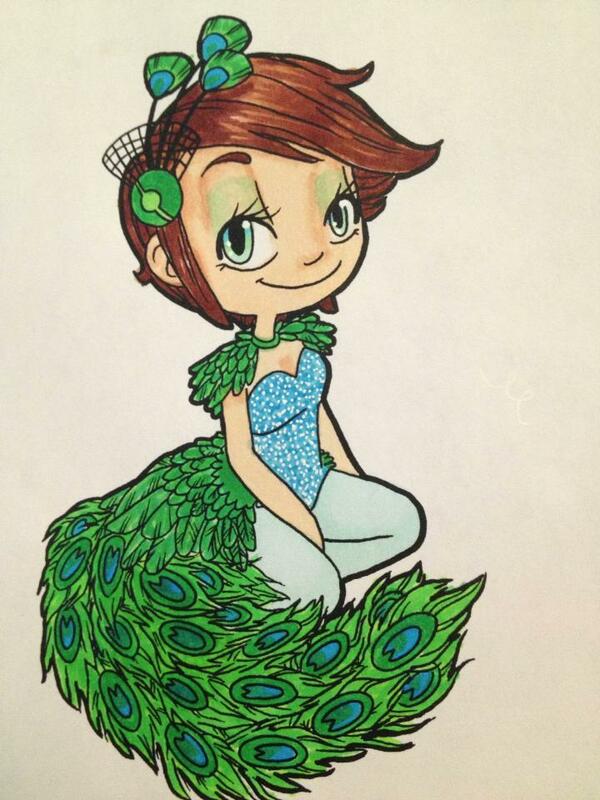 I do not have even own 1/7th of the Copic Sketch Markers, but I do have a wonderful collection of blues and greens, perfect for Peacock coloring! I have sold my old Cricut items on Amazon and have made $ to buy Copic markers and with this last "check" from Amazon I bought digital stamps from Some Odd Girl. They are sooooo pretty!!!!! Now...if only I could sell my cricut machine and buy more Copics.